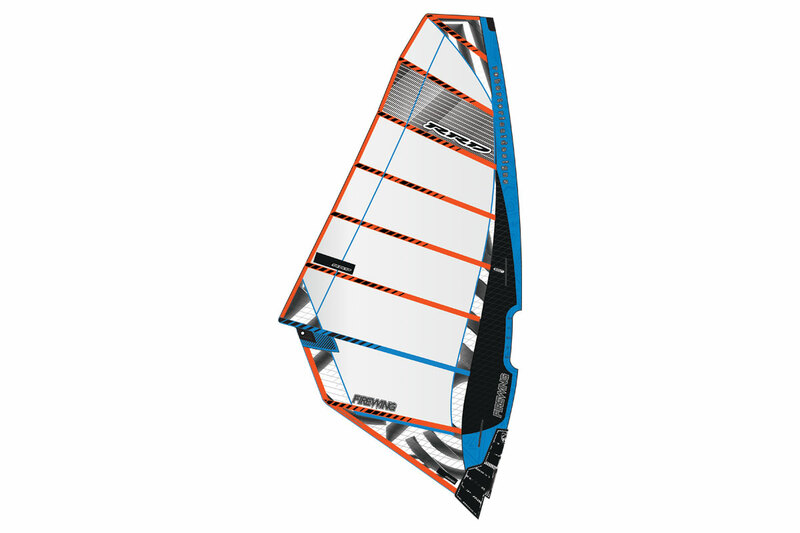 Ewindsurf vous propose ces voiles RRD Firewing MK IV en promotion à 55% , soit à partir de 429€ une 8.6m² . Soit la voile + son mat adapté pour moins cher que la voile au départ pour un super ensemble de Freerace . La voile RRD Firewing MK IV 2016 n'arrête pas de progresser depuis sa sortie et est maintenant régulièrement utilisée en compétition avec des résultats flatteurs au plus au niveau . Voile de 3 Camber puissante dans cette famille des Freerace , elle garde un très bon contrôle dans les rafales et ne fera jamais cabrer votre flotteur . Très bien équilibré même dans les phases de non planning et renforce la sensation de légèreté . Dans la même famille : Gaastra Phantom , Pryde RS Slalom , Severne Overdrive , North S- Type Slalom , Point-7 AC-K.
A 3 cam blaster aimed at getting the maximum speeds possible with the minimum effort. Since its birth 3 years ago the Firewing has been about allowing everyone to reach their maximum speed potential. From setting records on the Namibia speed track, to World Cup slaloms, the Firewing gives top level performance in an easy to use package. Softer and more forgiving than its rivals, the Firewing allows the rider to forget about the sail and focus on going fast. The Mk4 has seen size by size development looking to maximise performance through the entire wind range. More power and drive in the larger sizes, and more control in the smaller sizes. RTS “RaceTuningSystem” (Sold separately), the RTS Race Tuning System is an upgrade package converting an off the shelf Firewing into a 4 cam racer. With the addition of an extra camber as well as a new custom designed batten set, the weight is further reduced and the top end can be pushed even further for the ultimate speedsters. For both the freerace rider looking to push their GPS record through to racers wanting to stand tall on the podium. possess a great deal of bottom end power, the high luff curve and skin tension in the leading edge providing little movement for any purposeful pumping. Letting the pressure build as the wind increases, the Firewing quickly accelerates in the hands once its threshold is reached, the power delivery soft and manageable whilst it naturally adopts a committed locked in stance. 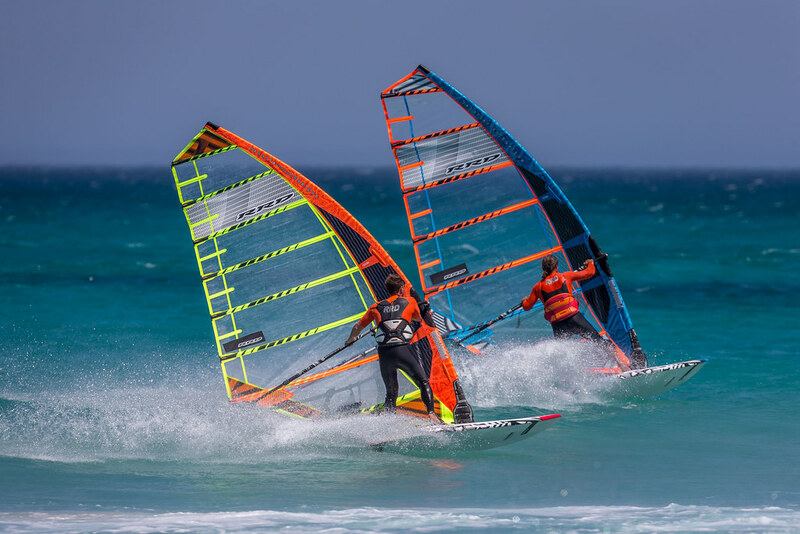 The centre of effort is quite high and back, but locked in place and there is a built in softness to the foil, helping it to move around the rider and absorb any impact as you blast over heavy seas. This year we had a chance to try the Firewing with its RTS option … and we have to say it is worth every penny! Introducing the four carbon battens and extra cam, the form of the sail is completely remodelled. The profile of the sail is noticeably deeper and the pull generated more positive in the hands. Its bottom end grunt is improved fractionally and it certainly glides through lulls more efficiently, yet the biggest difference is the sail’s character in powered conditions. With the RTS in place, the Firewing is more akin to a full slalom sail, with a loose slippery top end and a hunger to keep accelerating.